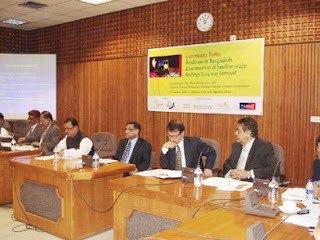 Bangladesh NGOs Network for Radio and Communication (BNNRC), since its inception, has been advocating with the government and with other organizations for the promotion of Community Radio to address critical social issues at community level, such as poverty and social exclusion, empowerment of marginalized rural groups and catalyze democratic process in decision making and ongoing development efforts. Ministry of Information, Government of People’s Republic of Bangladesh has approved 2 more Community Radio Initiators for installation and operation of community radio in Bangladesh on 20 May, 2010. Now total 14 Community Radio Stations are going to On Air first time in Bangladesh. The main objective of community radio is to provide livelihood related information to the rural communities in an understandable way. Agriculture, education, health, disaster, women and child issues, market price, services, etc. will be cover in the community radio for the community people.